Cape Town – Both the Western Cape Province and the City of Cape Town suffered reputational damage as a result of recent water challenges and the political fallout from Cape Town Mayor Patricia de Lille’s impasse with the governing Democratic Alliance. This was the admission from local and provincial government officials, who spoke at the Brand Summit South Africa on Thursday at a panel discussion about the brand of the Western Cape and Cape Town, entitled “Project Good Hope”. 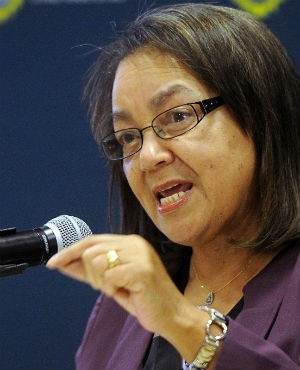 Facing another motion of no confidence from her own party at the Cape Town City Council, De Lille made submissions to the party’s executive on why she should not be asked to quit. She argued that the executive did not give due consideration to the decision to bring a motion of no confidence. Western Cape Economic Opportunities MEC Alan Winde said the challenges that beset the country’s reputation had an impact on the reputation of the Western Cape, although the province stayed resilient as an investment and tourism destination among those who grew to trust the province’s governance. However, he said the Western Cape Province and the City of Cape Town must ensure that they work decisively to maintain their brands as a city and as a province. A major part of this is ensuring people are given access to participate in the economy. “We are heavily reliant on grants for a country of our economic size. We have had world class numbers. Perceptions are changing. We need to swing that around. We went from number 1 in the world to number 30 in the world in auditing standards,” said Winde. Asked about the fallout of the battle between the DA’s Federal Executive and De Lille, Winde admitted: “The city’s politics has had a massive effect on the brand of the city and the province”. Wesgro CEO Tim Harris said while the challenges that came with the drought and water restrictions are considerable, Cape Town and the Western Cape managed to survive the worst, mostly because of the positive reputation built over the years. “Cape Town is the most understandable and understood brand of the Western Cape. It is the place that is foremost in the minds of tourists, investors. The agency is a public-private collaboration. We are creating a communication platform to get our message of investor confidence out there,” said Harris. He said South Africa needs to become more investor friendly on an international front to allow the economy to benefit from those who would like to do business here, but find red tape and borders of entry onerous. “The biggest issue that there are dealing with is the country’s reputation for being closed. We can’t learn lessons from foreign investors because we don’t let them in here. There are two elements to our branding efforts,” he said. Asked about the importance of national government in building confidence for the Western Cape and Cape Town, Harris simply said: “Nobody is going to invest in Cape Town and the Western Cape if they don’t believe in the country”.